The Story: VG Meats is run by 4 brothers, Chad, Kevin, Kyle and Cory. In 1970 their grandfather started the business. The meat business was different back then. It was easier to operate as a small family business and just focus on respect for the animals and producing the tastiest cuts. Today the business is a battle against the national producers who relentlessly work to make cheaper and cheaper products. It takes these four brothers, each with a different expertise, to battle every day against bigger commodity competitors. Their careful family raised poduct is just better. Trusted Product: small herd, high care meat. Never fed antibiotics and no added hormones. Taste: their meat tastes amazing. The Story: JBR Farms is a family run business in the Holland Marsh. They grow dozens of different seasonal Ontario vegetables throughout the available growing season. Typically JBR sells their product through the Ontario Food Terminal where ugly food is thrown out and the complex processing means it takes days to get to consumers or restaurants. JBR drives their food straight from the farm to our doors at Farm’r. Nothing is wasted and everything is fresh. The Story: Quinta Quinoa was started by Jamie Draves who lost 1/3 of his pancreas due to health complications in 2007. He was forced to follow a strict diet which included quinoa. In those days all quinoa came from South America, so Jamie was inspired to dedicate his life to finding a way to grow quinoa in Canada. He worked with the University of Guelph to develop a strain of quinoa perfect for the Canadian climate. The amazing product ended up being the highest protein, mineral, and amino acid content available in North America. The Story: Organic Ocean was started by a group of British Columbia fisherman frustrated by over-fishing, unsustainable practices and the deception in the seafood industry. Their good work was recognized by First Nations fishers who now partner with the company. Together as Organic Ocean they represent an alternative to the high volume producers who are destroying the oceans and the seafood industry in search of a cheaper and cheaper product. Why It’s Better: you have to taste it to fully understand. On top of the taste, the tuna from Organic Ocean is line-caught near Haida Gwaii. The fish are 3 to 4 year managed to be low mercury accumulation and the highest in Omega-3s of all tuna. 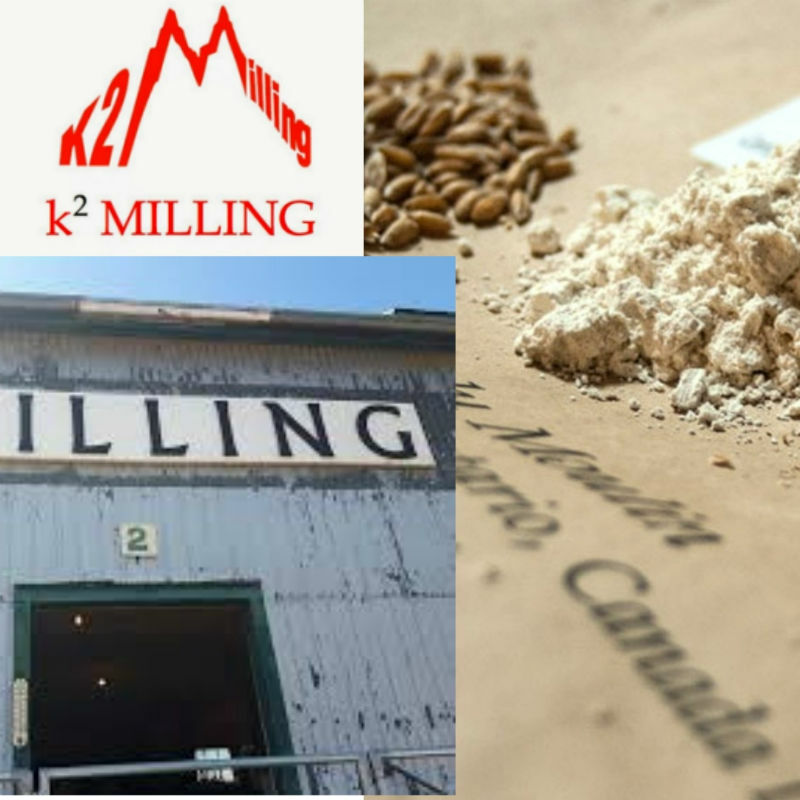 The Story: K2 milling is an artisan flour mill in Beeton, Ontario. The mill’s history goes back to 1891 when it was started by the Hayhoe family. Today the mills is run by Mark Hayhoe who uses his nearly 30 years experience to make some of the best flours around. He uses mostly locally grown organic grains to make flours including spelt, soft wheat, hard wheat, corn, rye, oats, barley, triticale, sorghum, millet, flax, wheat, peas, hemp,buckwheat, rice, lentils and beans.